Thanks to people like you, the lives of people affected by leprosy have been changed in so many ways during 2017. This infographic was included in the Annual Review of 2017, published at our Annual Celebration in June 2018. 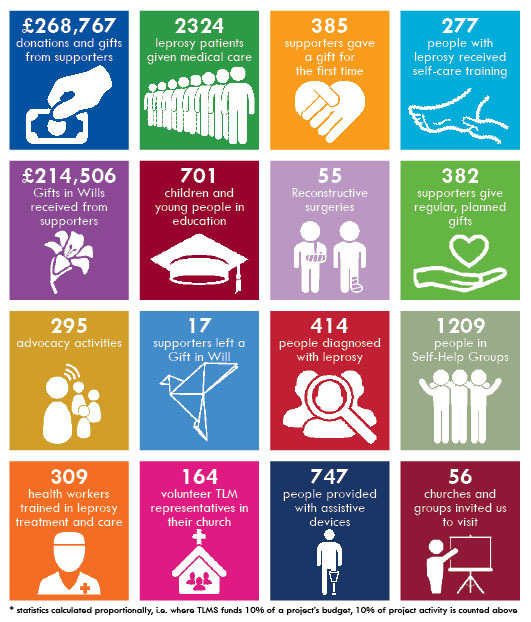 You can read the full Annual Review here.